Blueman is a bluetooth management utility using bluez dbus backend. It is designed to be easy to use for most common bluetooth tasks. 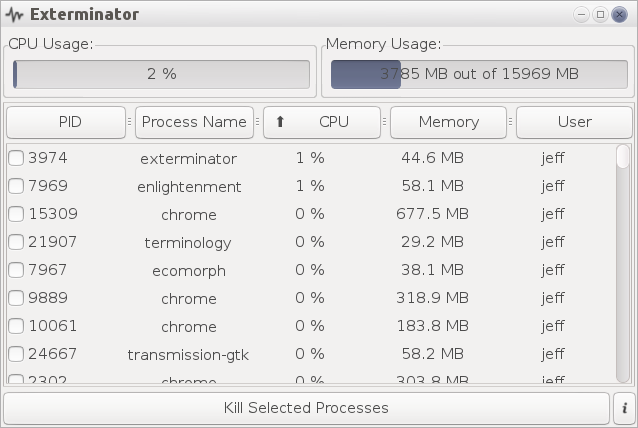 Exterminator is a system process killer written in Python and Elementary. A package that installs support for printing on your Bodhi Linux system.